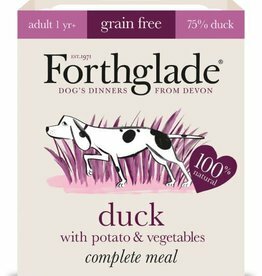 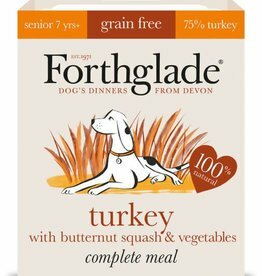 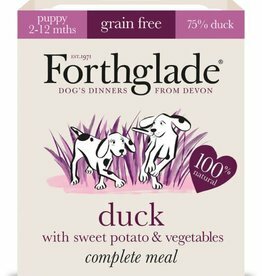 Dog foods free from grains which may help stomach, skin and coat conditions. 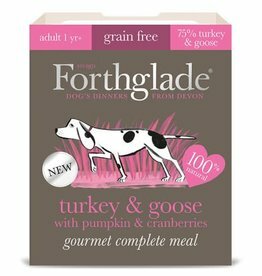 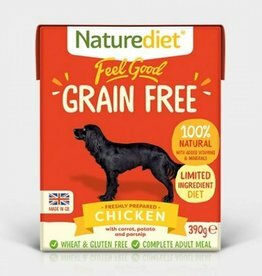 Feel Good Grain Free Chicken is a nutritionally balanced complete meal made with British Chicken and a tasty trio of root vegetables. 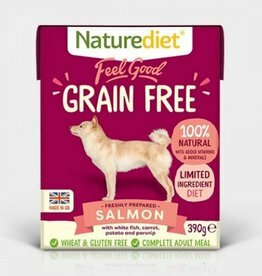 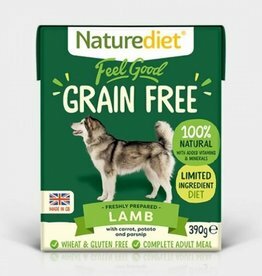 Naturediet Feel Good Grain Free Salmon is a complete and nutritionally balanced diet made using sustainably sourced Salmon and White Fish, combined with a selection of wholesome root vegetables. Barking Heads Wet Dog Food Golden Years 300g has been specially formulated for older dogs. 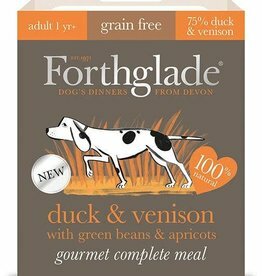 with added vitamins & minerals slow cooked, using only the best ingredients. Gourmet beef & wild boar complete grain-free dog food. 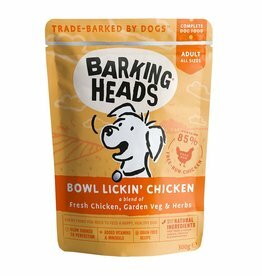 Designed for sensitive tummies and completely free from artificial colours, flavours & preservatives. Gently steamed to retain the natural goodness of the ingredients, including tasty pumpkin & cranberry and designed to be gentle on the most sensitive of stomachs.